CHERRY, the specialist for computer input devices, presents the Strait 3.0 for Mac. 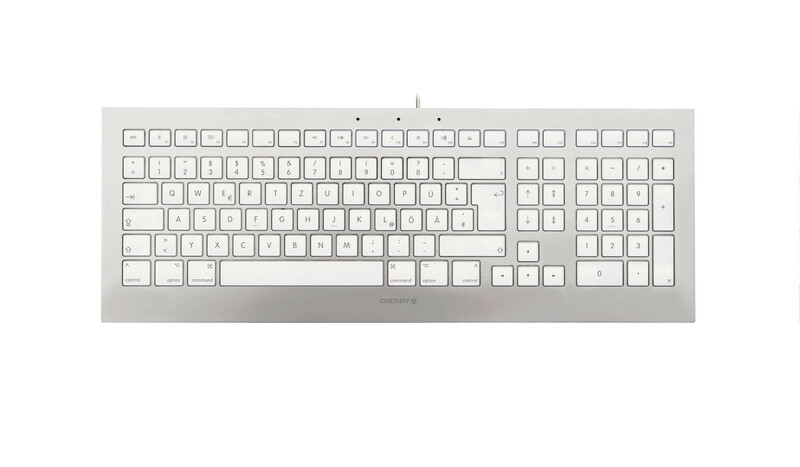 This wired keyboard is characterized by an elegant design and a durable build quality, making the Strait 3.0 for Mac a perfect and reliable keyboard for daily use. The CHERRY Strait 3.0 for Mac charms with its elegant design and is a real eye-catcher on the desk thanks to its clean, ultra-flat design with a metal look. In combination with the durable build quality, this has resulted in a robust keyboard which is particularly suitable for permanent use. The CHERRY Strait 3.0 for Mac offers a Mac-specific key assignment to work with apps on macOS intuitively. CHERRY has also equipped the keyboard with robust key caps with an abrasion-resistant laser marking. Thanks to a pleasantly silent whisper keystroke, this keyboard becomes the perfect companion for daily work. The wired CHERRY Strait 3.0 for Mac is ideal for use with notebooks and PCs. Installation is easy thanks to USB Plug&Play compatibility, which means that drivers are not required. The CHERRY Strait 3.0 for Mac is now available for an MSRP of €40 / $49 / £32.